Who does the world call on in the wake of super hero disasters? Meet the Clean-Up Op that handles the messes no one else wants to touch! Where there's property damage…there's Damage Control! 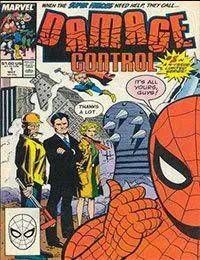 Creator Dwayne McDuffie introduces you to the cast of characters responsible for keeping the Marvel Universe clean. It all starts here!